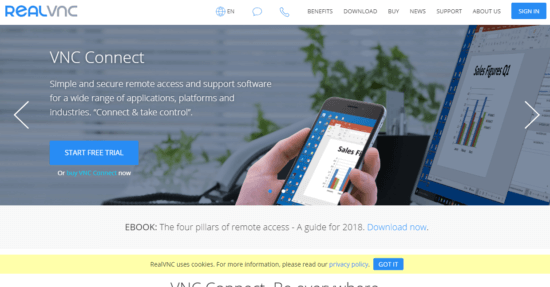 Real VNC is a nice option if you want remote desktop software for your work. It can be used on Windows, UNIX, Linux, Ubuntu, Mac OS X and many other platforms. It is one of the best TeamViewer alternative for PC. The configuration is quite tough but then it has beautiful features such as data encryption, chat feature and many others. It is also a secured remote desktop software for PC. There are both paid and free versions in Real VNC. It also keeps your IP address hidden from the other person. The next on the list is Splashtop which is one of the best alternatives of TeamViewer for businessmen. It is simple to configure for Windows, Mac or iOS. You can watch movies, listen to music and play games on your device with the help of this software. It has reasonable price and provides security to your PC. The most amazing feature of this remote desktop software is that you can transfer files and folders for free of cost up to 5 computers. It gives the best remote access on any computer from anywhere. LogMeIn Pro is one of the remote desktop software which you can try for your PC. Now, you can control all the files and folders anytime and anywhere. It also manages remote computers as well. It can transfer big sized files and access local printers. This software works well with any Android device. It is perfect remote desktop software for individuals and companies both. There is a premium version in LogMeIn Pro which has many features. It is also nice software for small concerns. 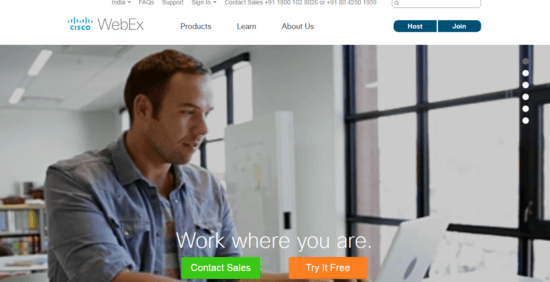 WebEx is a fantastic tool developed by Cisco. It is one of most amazing alternative to TeamViewer if you want to conduct meetings from any part of the globe. It has many smart features such as video conference and lives chat. 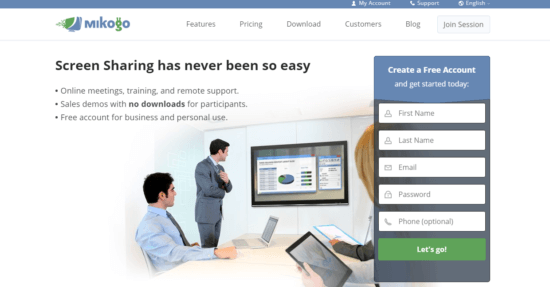 WebEx Free is a secured tool for PC and you can easily control and manage all the files and folders of your PC. It is the best way for board meetings and other meetings for discussing important matters. WebEx Free also keeps your password protected so that hackers cannot easily access your files and documents. 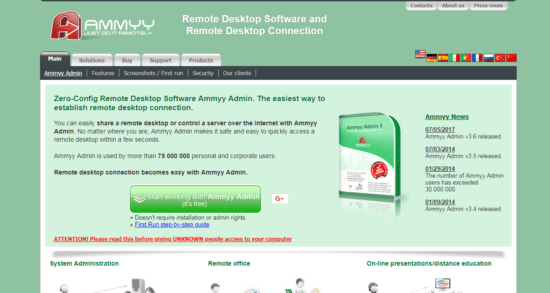 AMMYY Admin can be included in the list of alternatives of TeamViewer as a remote access software due to its easy operation and configuration. It is one of the most secure tools for corporates and small businesses which have numerous documents and folders to be accessed each day. It has many beautiful features such as data encryption and data transfer. You can manage any servers with the help of AMMYY Admin. There is no download or installation procedure needed for using this software on this PC. It also has voice chat as well as remote PC control for more convenient work. One of the safest remote desktop software for Windows, Linux, Mac OS X, iOS and Android, Mikogo is next on the list. There are no plugins and installations required for Mikogo. A person can conduct meetings with his colleagues with the help of video conference feature on Mikogo. The user-interface of this software is very simple and there are 35 languages to understand the instructions in user-interface. It shares and transfers the data and files in an effective manner. The last on the list is Join.me which is one of the best apps like TeamViewer for sharing important files and folders. 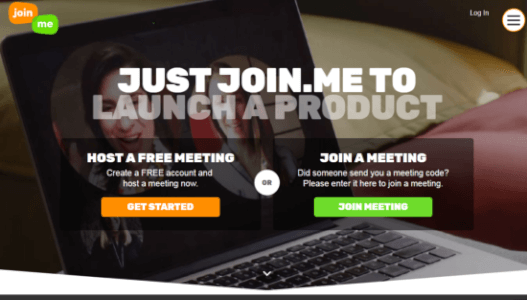 You can record the meetings and chat with people on the other end of the world simplifying the work. It also has an audio feature. You can have a live chat with office employees for discussion of crucial matters. It is used by many educational universities and big companies because of security and authenticity. Time is the most important aspect these days and every person needs the easiest ways to perform the work. 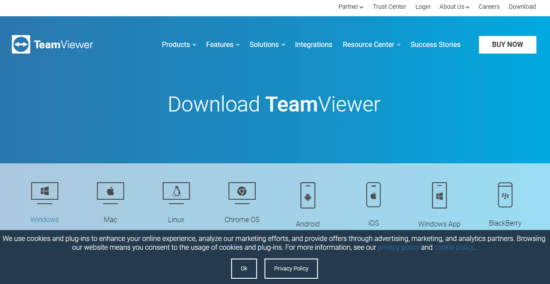 These alternatives to TeamViewer are the major requirements of the corporates and solve many critical issues in a blink of an eye. They are one of the most reliable tools on which the corporates can depend for efficient and better work.